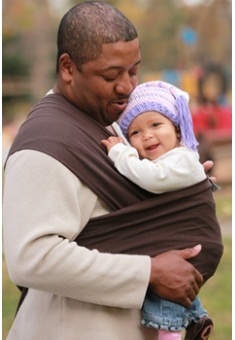 The original Moby Wrap - There's no better place for your baby to be! 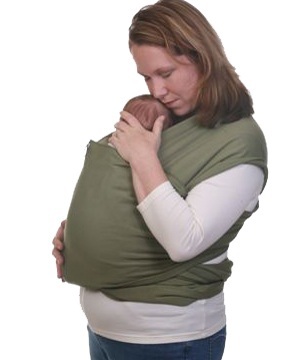 The design of the Moby Wrap uses your entire back and your both shoulders, to carry the weight of your baby. 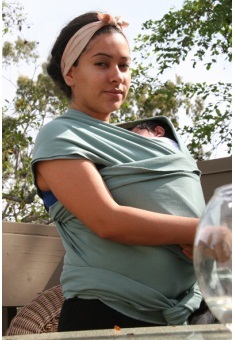 It is amazingly comfortable and easy to adjust the fit of your Moby Wrap. 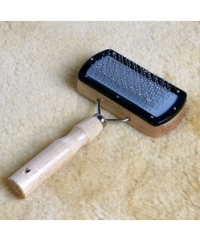 No more aching backs or tired arms ! 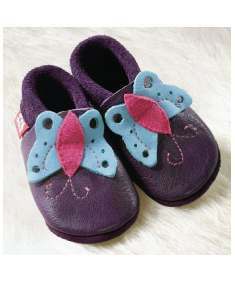 Material : 100% cotton fabric. Be uniquely close to your baby : no buckles, snaps or other fasteners. Your baby can hear your heartbeat and finds comfort in the warmth of your body. 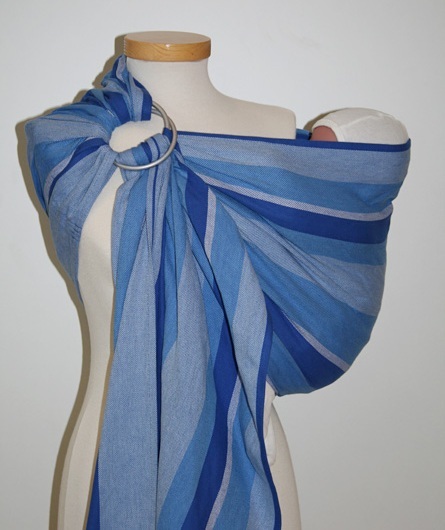 The Moby Wrap is an optimal baby carrier for premature infants. Preemies are often prescribed to practice "kangaroo care" and this skin-to-skin practice help to increase birth weight. 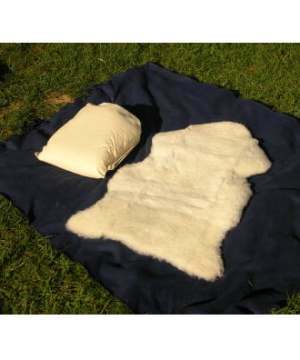 Then it is long enough to adapt to your growing baby (5.5 meters in length). There are many ways to wear your MobyWrap. You can wear your baby facing you, sideways or on your back. When not being used as a carrier, the Moby can be used as blanket, pillow or anything else that comes to mind. Our opinion : Tested to hold up to 45 lbs but most people feel comfortable carrying up to 1 year. Washing instructions : Machine washable in cold water and tumble dry low. Slight shrinkage after washing may occur. Once you start wearing your Moby again, it will stretch out. Includes a carrier bag as well as full color instruction booklet in English.